These beautiful flower earrings immediately caught my eye! With a few findings you can easily make your own unique jewelry! This pattern includes written instruction and a chart. 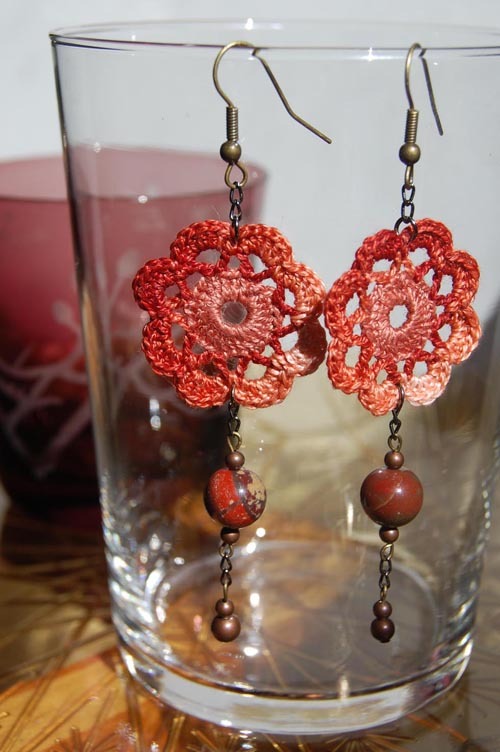 Materials: Cotton thread and a 1.00 mm crochet hook, Earring findings, chain, beads.